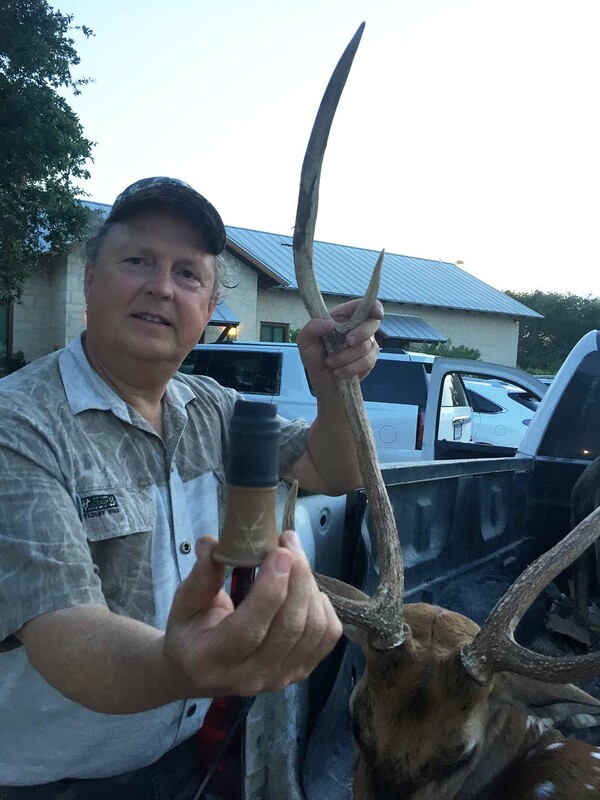 Another one bites the dust with the Ezy Axis call! Love that call! 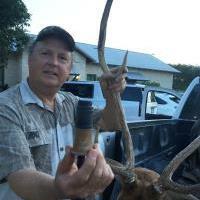 The Ezy-Axis deer call is amazing! 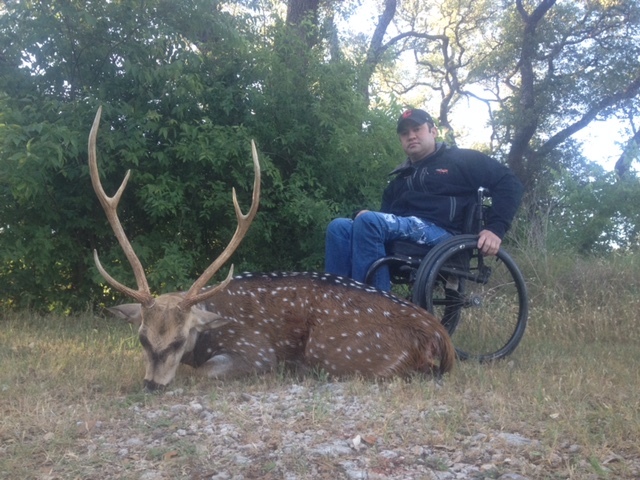 I got to shoot an axis buck with Eric as my guide. He called the axis buck in with the Ezy-Axis call. The buck walked into where we were sitting and came within 50 yards of where I was in response to the call! I was able to take a shot I was completely confident in. It was an absolutely awesome experience! 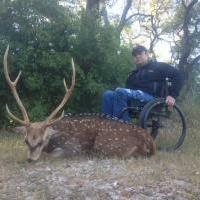 This was my second year hunting with Eric at Joshua Creek for a mature axis buck. We were down to the last evening and we needed something to happen. 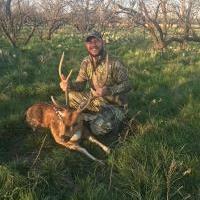 Eric started screaming with his prototype ezy axis deer call. 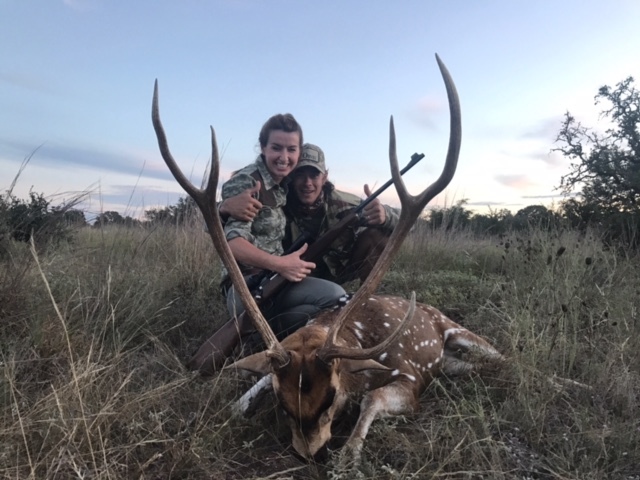 We immediately got a return scream from an axis buck! He worked a tree line while screaming and breaking branches. Every time Eric screamed at him with his call, this buck would return scream and progressively got more agitated. 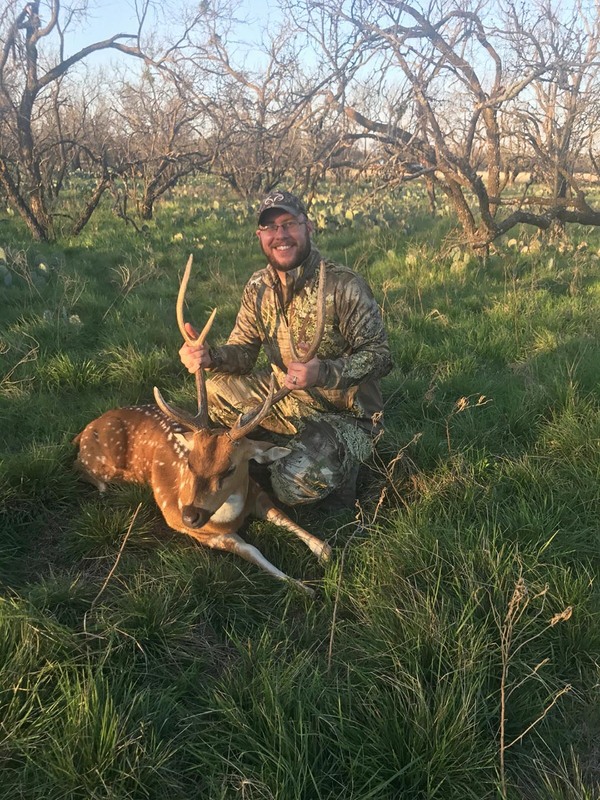 After multiple exchanges, the buck couldn't take it and finally broke the tree line at 100 yards. 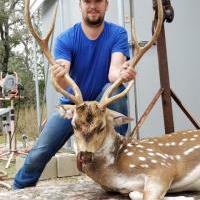 He was a huge 7.5 year old buck! I made a good shot even after having my nerves worn to a frazzle with Eric and the bucking exchanging screams. 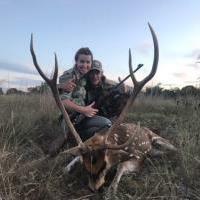 It's one of my best hunts ever and an amazing time. I’ve been looking for an axis call for years! And it worked like a charm last night! 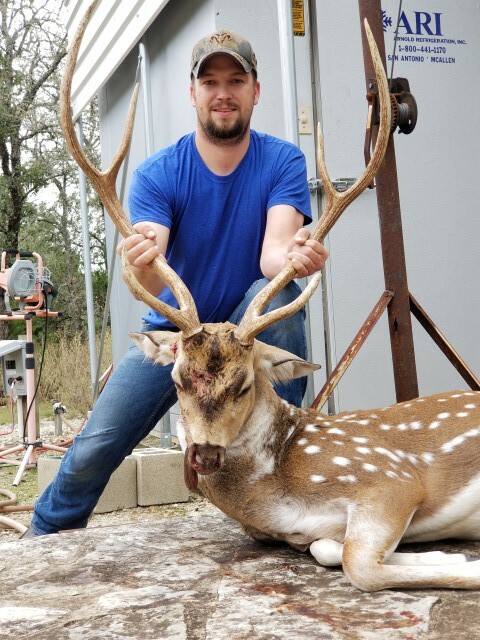 Made a stalk upwind and the lead doe started barking at about 100 yards, I knew they hadn’t smelled me so I pulled out the call and roared 3 times. The whole herd of about 30-40 came up the trail 35 yards away, and I was able to get the biggest buck!